A plane lands in a deserted Upper Peninsula airstrip one night, and five dead bodies are found the next morning. 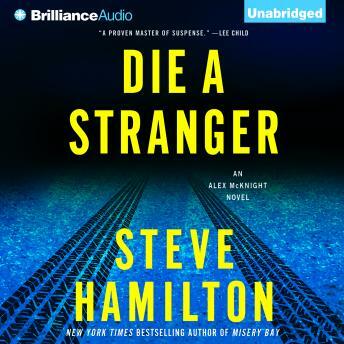 The evidence suggests that not only are these murders the beginning of something bigger, but that Alex McKnight's friend Vinnie may be part of it. Alex knows he needs to find him before it's too late. Vinnie LeBlanc is an Ojibwa tribal member, a blackjack dealer at the Bay Mills Casino, and he just might be Alex's best friend. He's certainly come through for Alex more than once in the past, so when he goes missing, Alex can't help but be worried. There's a deadly crime war creeping into the Upper Peninsula, leaving bodies in its wake, and Alex never would have expected that his friend could be involved. But when a mysterious stranger arrives in town also looking for Vinnie, Alex will soon find out that the stakes are higher than he ever could have imagined.